Prolific and epically diverse, Genzken is one of Europe’s most influential artists. 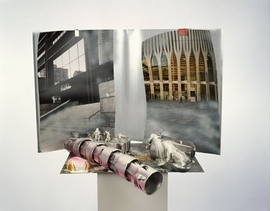 Featured image, "Empire/Vampire III, 13" (2004), is reproduced from Isa Genzken: Retrospective. "Hers is a career in which she is constantly reinventing herself, and yet she remains very focused on architectural forms," Hoptman says. Raised in Berlin immediately after the Second World War, Genzken was fascinated by the destruction and construction of cities. " Her concrete sculptures look just like the rubble that was Berlin after 1945," Hopman says. But Genzken's work is not purely, or even primarily, autobiographical. It also deeply engaged with art history. 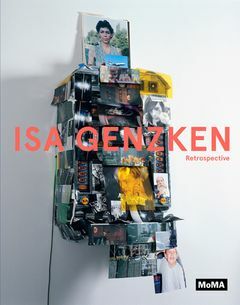 As almost every rigorous essay here is at paints to point out, Genzken's oeuvre is as diverse as it is directed. How do we understand work spanning such a wide spectrum of material and meaning, work that, as Lee writes, is just as likely to reference Donald Duck as Donald Judd? In these pages we encounter post - Minimalism via giant "knitting needle" sculptures from the 1970s; photographs featuring the ears of strangers encountered on the street; the stunning Weltempfanger (World Receiver), 1987-1989, its radio antennas sticking out from mute concrete blocks; [...] Like the best of its genre, this catalogue makes one impatient to see the exhibition. Everybody needs her own view. [...] Among the nearly 150 works, it's Genzken's towering assemblages of found objects (from a metal dolly to plastic flowers) that best convey her acute inventiveness. Even for those familiar with Genzken's art, the size and breadth of her oeuvre is likely to come as a surprise. This catalogue accompanies a comprehensive exhibition of the same title organized by curators in New York, Chicago, and Dallas. Breitweiser (formerly, MoMA) provides a narrative description of Genzken's early career from 1970 to 1996, interweaving artistic development and biography. Laura Hoptman does the same for the years 1993 to the present, the period of assemblage constructions for which Genzken is now best known. The remarkable diversity of Genzken's oeuvre across four decades--from early minimalist sculpture to film to assemblage--is evident in the extensive selection of color images. Shown together, they reveal Genzken to be a consummate experimenter. The heterogeneity of her practice is also the topic of an essay by Michael Darling. Jeffrey Grove explores the self-referential elements that thread through much of Genzken's work. Lisa Lee examines how Genzken's sculptural constructions model historical precedents, revealing Genzken's acuity as a student of art history. The catalogue includes a biographical chronology and selected exhibition history. Summing Up: Recommended. Lower-level undergraduates and above. Edited by Juliane Joan Rebentisch. Text by Vanessa J. Müller, Nicolaus Schafhausen, Liam Gillick. 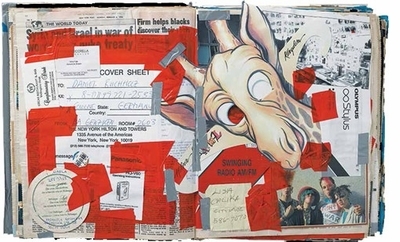 FORMAT: Clth, 9.5 x 12 in. / 315 pgs / 320 color.